Handwriting phrase calligrapy always young. black text isolated on white background. The inscription `Always young` on a bright background. Smears with paint in the form of strokes. 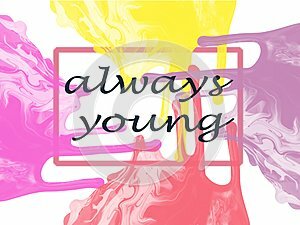 The inscription `Always young` on a bright background. Smears with paint in the form of strokes.